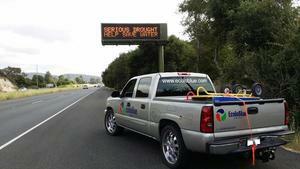 East Bay Business Makes Water From Thin Air -- Literally! The public does not have to rely on outside sources for water, according to Heather Jepsen of Walnut Creek. Jepsen is operations manager for EcoloBlue, Inc., a company that sells an array of "atmospheric water generators" for homes and businesses that claim to make pure drinking water from the air. "Imagine a glass of ice water on a warm day, how condensation accumulates on the outside," that's the science behind the products, Jepsen said.